Take the guesswork out of your homeschool day with the time-saving Horizons 1st Grade Math Teacher's Guide. 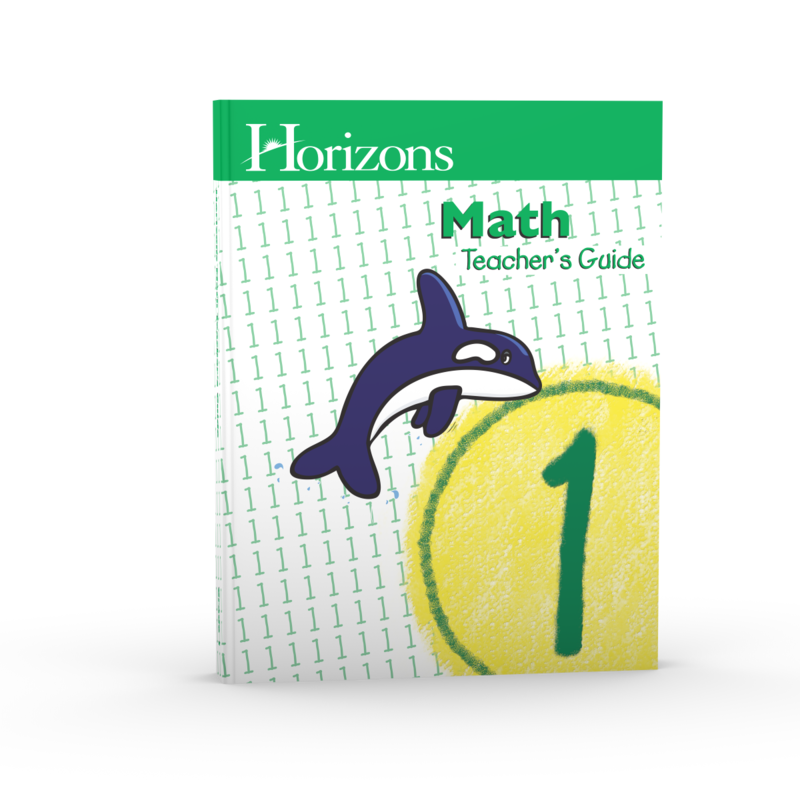 This two-part Teacher's Guide contains step-by-step daily lesson plans with teaching tips and suggested activities for Horizons 1st Grade Math Student Book 1 and 2. This Alpha Omega curriculum guide includes answer keys, additional worksheets, and drills. Let us face it, if it weren't for teacher's guides, we'd all struggle teaching math as homeschool parents. Now you can make your homeschooling more enjoyable with the Horizons 1st Grade Math Teacher's Guide from Alpha Omega Publications. Part 1 of this teacher's guide contains a readiness evaluation test as well as the scope and sequence, manipulative schedule, and an additional worksheet schedule to make lesson planning easy. Plus, the comprehensive list for the appearance and development of math concepts gives peace of mind as you explain what your child is learning to others. What's more, the easy-to-understand daily lesson plans clearly detail the when, where, and how of teaching all 160 lessons contained in the Horizons 1st Grade Math Student Book 1 and 2. But that's not all! Part 2 of this helpful teacher's guide contains drills and additional worksheets to reinforce the math concepts taught in each lesson of this Alpha Omega curriculum. In addition, unique answer keys exactly replicate your child's daily work to make grading lessons easy, no more wasting time trying to match the correct answer to each question. Sound like the foolproof teacher's guide you're looking for in a homeschool curriculum? It is! Order your Horizons 1st Grade Math Teacher's Guide today!